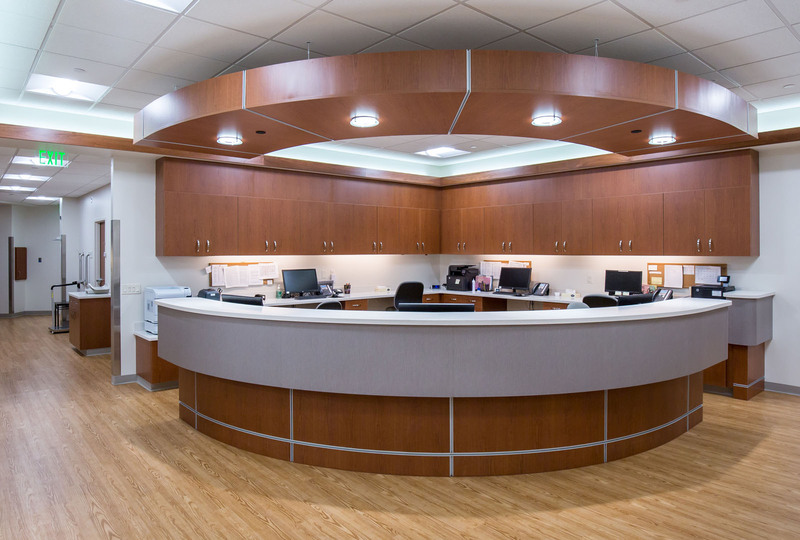 This project relocated the Western Montana Clinic Now Care to a fresh new location within Missoula’s Southgate Mall. 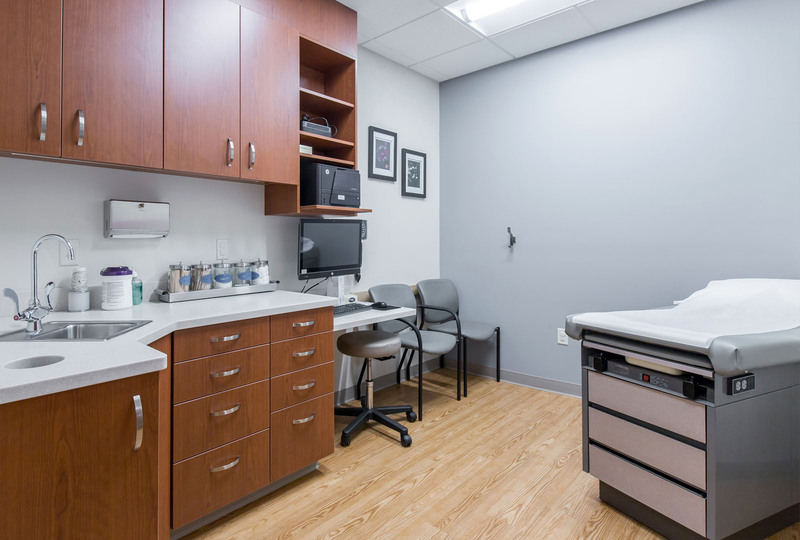 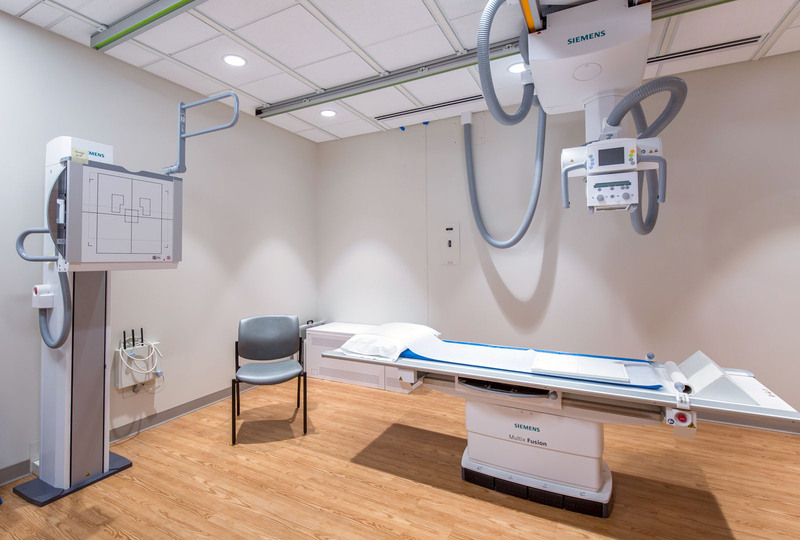 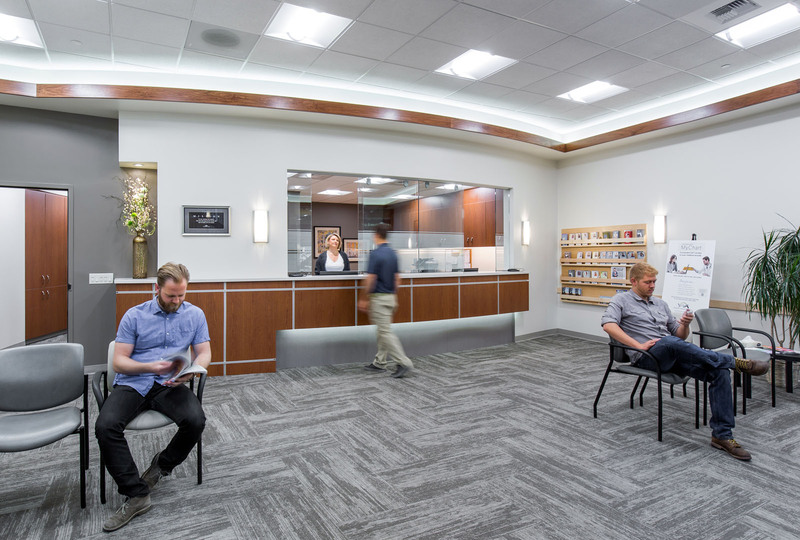 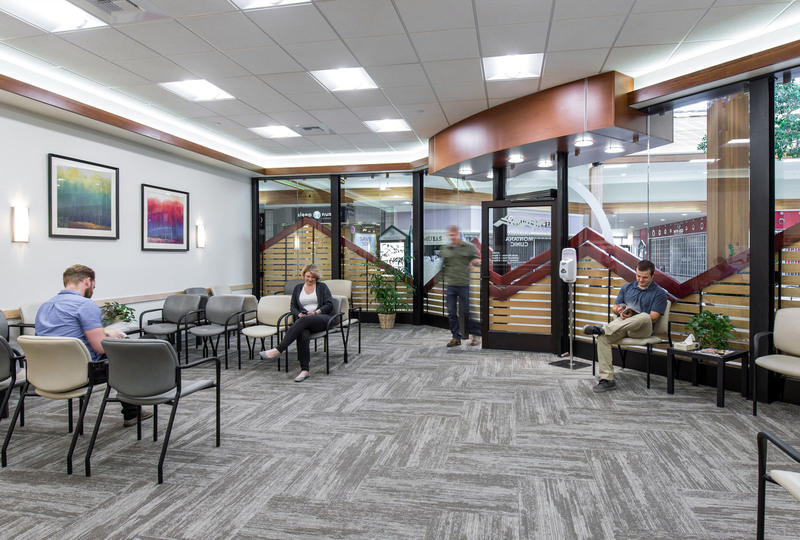 The clinic doubled in size to include additional exam rooms, the latest in x-ray technology, and provide more generous spaces that reflect Western Montana Clinic’s mission “to provide patients with the same high quality of health care they expect for their families”. 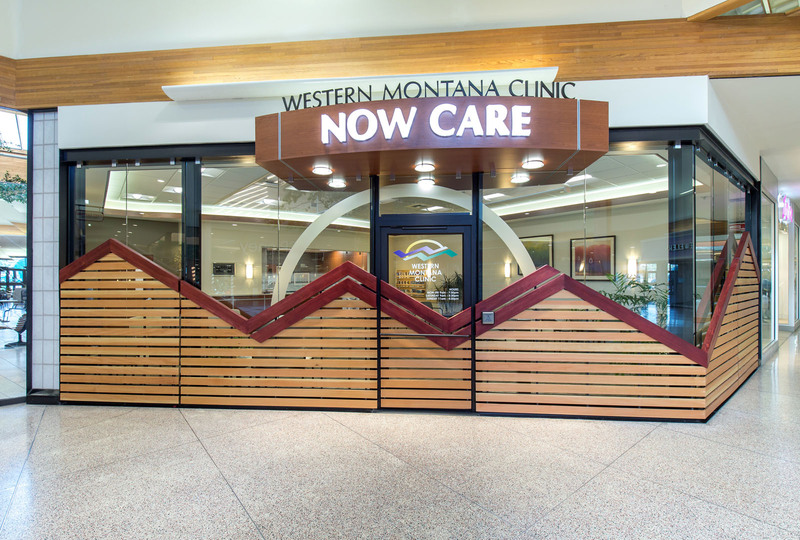 The clinic refreshed the iconic mountainous wood privacy screen with a frameless glass façade. 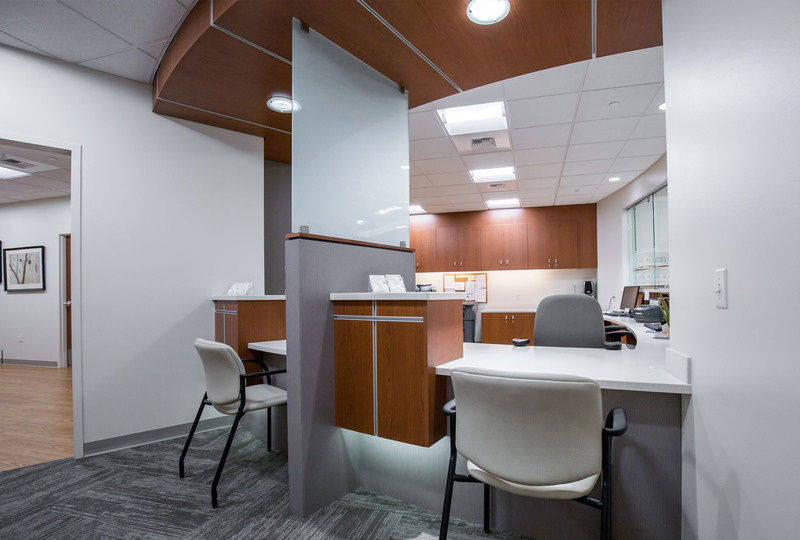 Interior finishes utilize a crisp clean color palette softened with warm wood tones and highlighted by accent lighting.